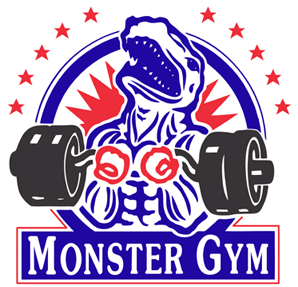 Ever since the McGregor versus Mayweather debacle there has been talk of boxers meeting mixed martial artists in rings or cages or wherever else. So when it was announced that the second leg of Jean Pascal’s retirement ceremony would be against a former UFC fighter (and LNAH hockey enforcer), feelings were mixed, to say the least. Steve Bossé has had an interesting career, starting off in hockey and eventually moving into the MMA world where he had a 12-2 record. 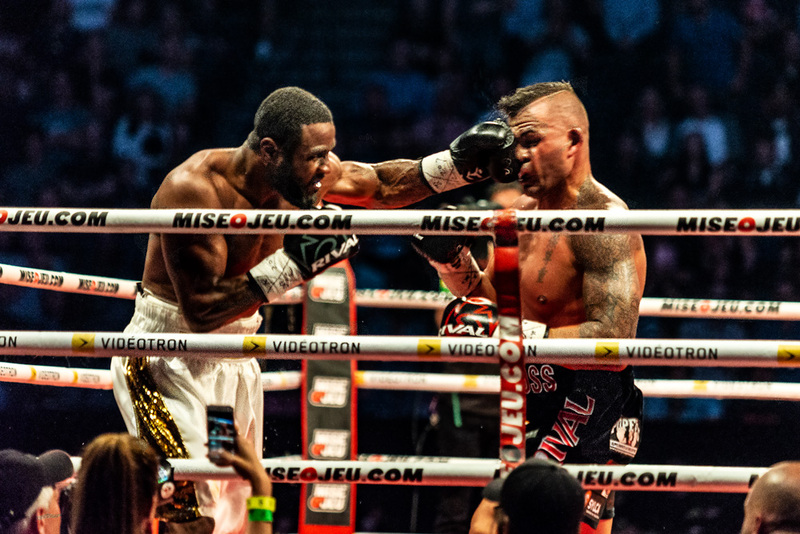 Bossé turned to boxing and flattened his first professional opponent at the Montreal Casino on February 15th of this year. Somehow, that led him to a bout with Pascal, perhaps due to his social media calling out of the former champion. 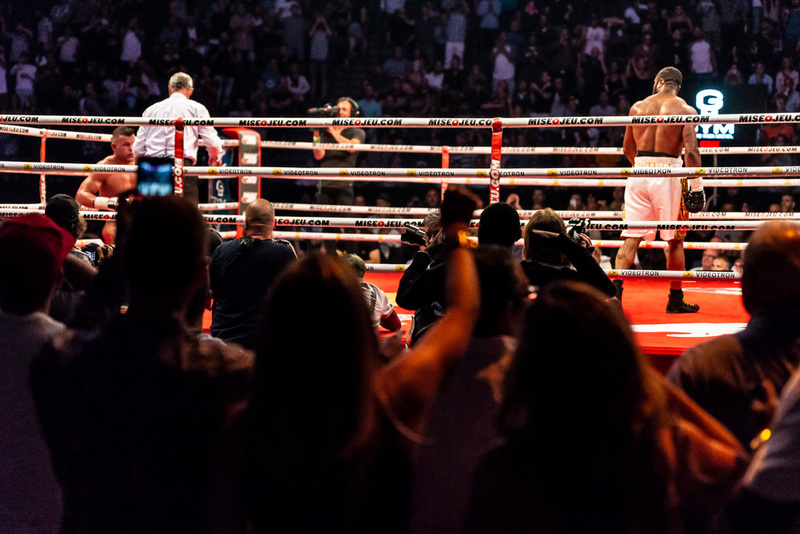 The opening sequences of the scheduled ten round contest between Pascal and Bossé started off as many do, with a feeling-out period, finding distance and looking for signs in one another. But it soon became clear that Pascal didn’t plan on opening up with anything at all, at least not yet. He waited for Bossé to attack and only then would he throw the occasional counter. Like a game of cat and mouse, the former world champion looked as if he was toying with his opponent; this would be a theme that he wouldn’t relinquish for the duration of the battle. 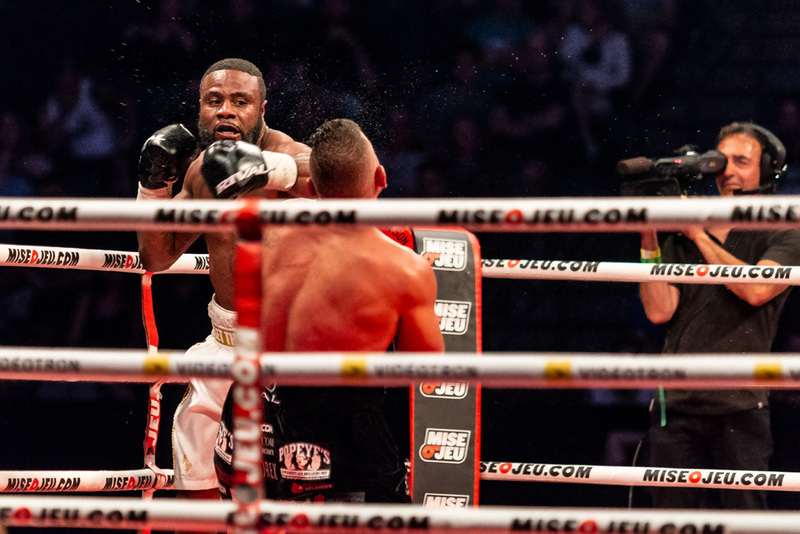 Pascal took this playful ambition to its peak during the second round, when he boxed Bossé without looking at him, throwing jabs towards the ropes in a sideways stance instead of towards his opponent, who stood at about a forty-five degree angle from his air punches. Bossé’s look of confusion was quite amusing, as he seemed to not know what to do with this display. Soon, the match returned to the odd counter punch as Bossé tried in vain to connect a meaningful blow to the disrespectful protagonist and he left his defense open enough to eat leather on a few occasions. 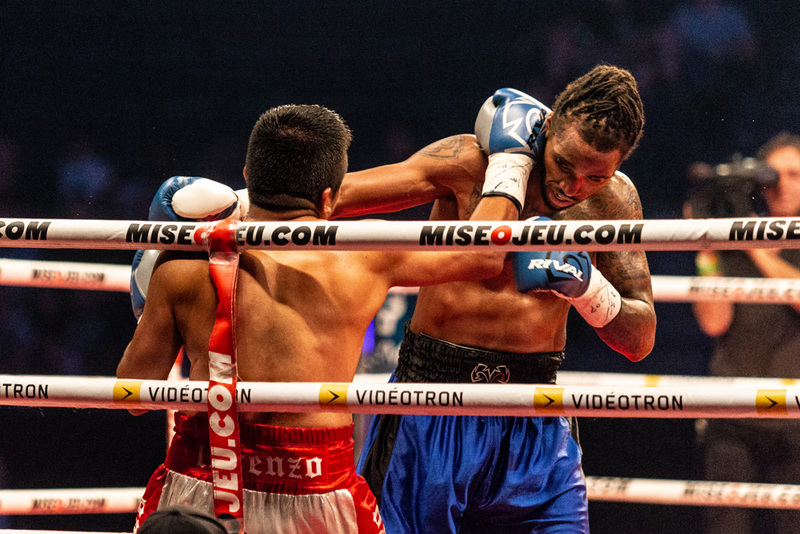 Late in the round, Pascal corked Bossé square on the button and sent him staggering back and to the canvas, the audience jumping to their feet as Pascal nonchalantly strolled away. The raucous chants of “Bossé! Bossé!”, with screams of “Ah-waaii Steve!” didn’t seem to affect Pascal in the least, as he went about his business, now throwing the odd combination but content to learn on the ropes and block and duck the punches thrown by Bossé. I began to wonder how calm and cool Bossé could remain as he failed to find a good connection or any weakness in Pascal’s defense. Perhaps that was what Pascal was looking for – that one desperate haymaker attempt that would leave Bossé’s chin wide open and ripe for the plucking. It didn’t come. 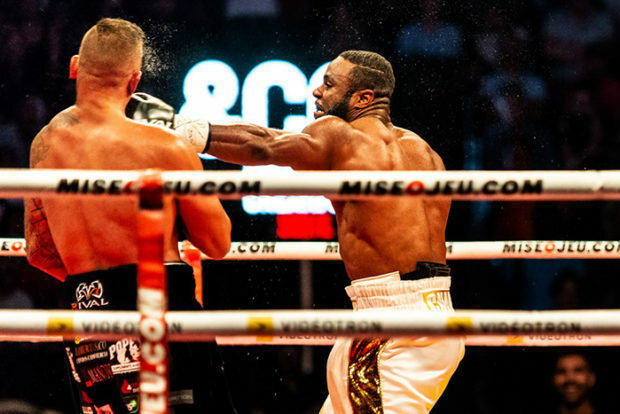 When Pascal did feel like turning up the offense, he landed punches with relative ease, his finesse obviously honed from years in the fight game. Pascal had promised a show and a show is what he delivered. Had he been on the offense from the start there is no doubt in my mind this contest wouldn’t have lasted half as long as it did. 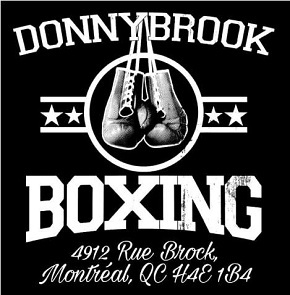 That isn’t to take anything away from Steve “The Boss” Bossé but he was in tough against a man that was once a king of boxing and it showed. As the fight wore on, Pascal began to throw more and more. Perhaps he had waited out the eager Bossé and he was beginning to slow, or maybe Pascal had been dragging his feet for the sake of the show; either way, the tides were beginning to change. 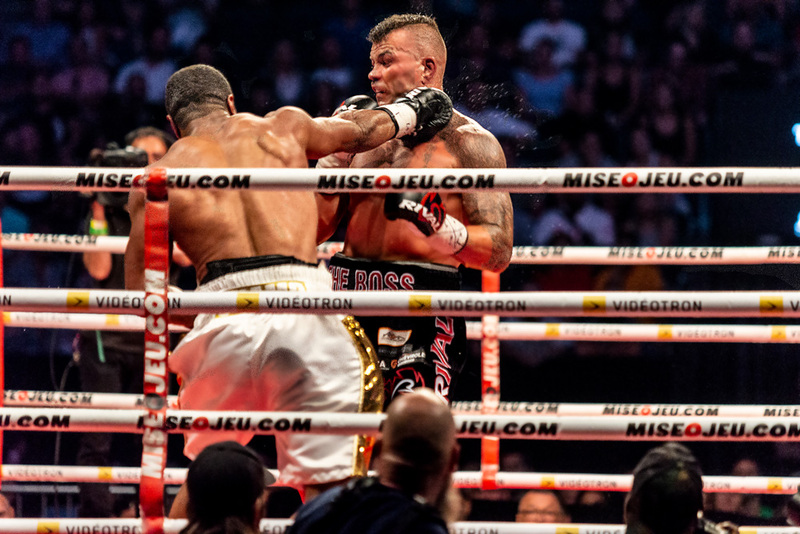 Jean Pascal walks away from a finished Steve Bosse, job done. 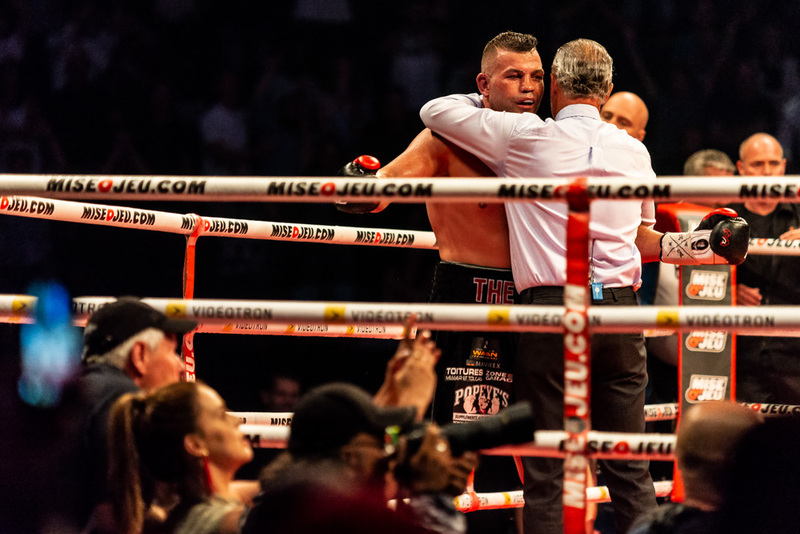 Bossé took the fight to Pascal in round eight and, to his credit, he did land a pair of nice shots, but the experience of the former champ was too great, and as the two began to brawl a little, Pascal dropped Bossé with a beautiful left hook to the chin. With a smile creeping on his face, and a nod of acknowledgment, the downed Bossé began to rise against the will of his feet and legs as they buckled below him. He stumbled back up, but the referee wasn’t convinced and the fight was halted there and then. Pascal was once again victorious. I waited for Jean Pascal’s retirement speech but there wasn’t one. Turns out, he hasn’t ruled out another fight yet, despite retiring last year in sunny Florida. Bossé claims to have fought with a torn bicep that he had sustained during training and a broken jaw earned during the bout; perhaps this is grounds for a rematch? I hope not. In other action, Marie-Eve Dicaire took apart Alejandra Ayala with technical striking and great poise. Looking comfortable and always in control she danced well, using good foot movement to keep way from Ayala’s attack, and used fantastic head movement to set up counters and combinations at will. Dicaire looked the business and retained her belt. She rocked Ayala on several occasions but the tough Mexican stayed in the bout and held her own. 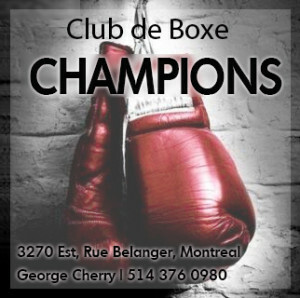 The fight went the distance, with Dicaire winning a unanimous decision 100-90. Marie-Eve Dicaire clocks Alejandra Ayala. For some reason, there was an MMA match up between Yoni Sherbatov and Luis Solorazano which left the audience almost silent, besides the sounds of chatter amongst themselves. But there were other good contests on the card, such as Jordan “Django” Balmir dispatching veteran Vito Vendetta with a nice knockout. 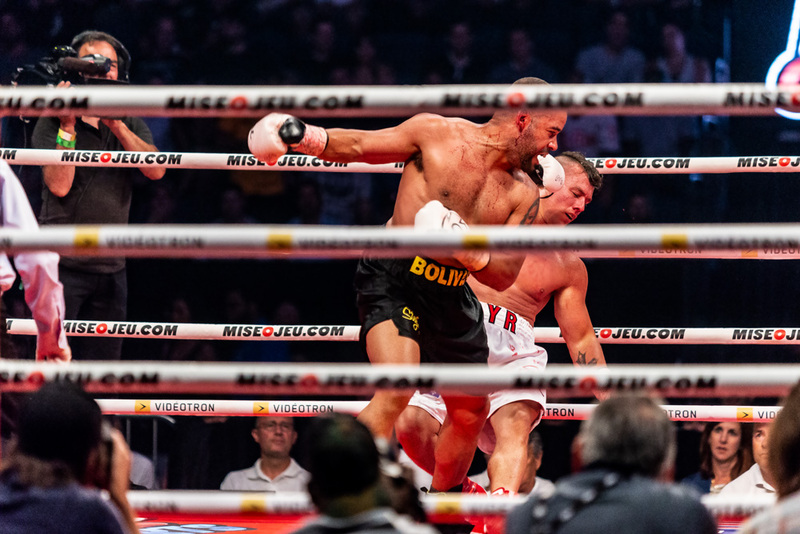 It was a slow-paced contest up until the knockout punch, but Balmir was finding holes and filling them with gloves throughout. I’ve said it before, but Jordan Balmir might be one of the best prospects in the nation, and at the end of his fight he took to the microphone to call out the #6 ranked Steven “Bang Bang” Butler. That’s a contest I would like to see. Whitney Baille (right) is now 7-0 after defeating Victor Lorenzo.